Mr. Selfish and I packed in one day of templing in Bangkok. 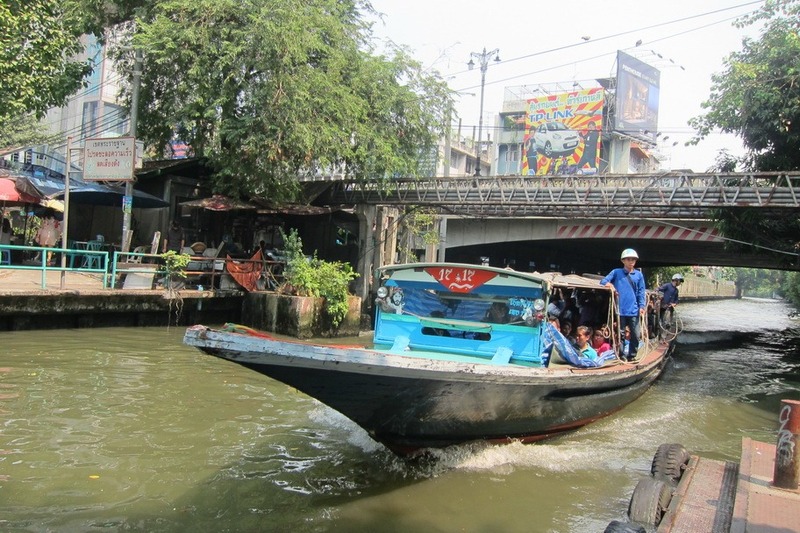 We took the canal boat from Saphan Hua Chang pier to Wat Ratchanaddaram. 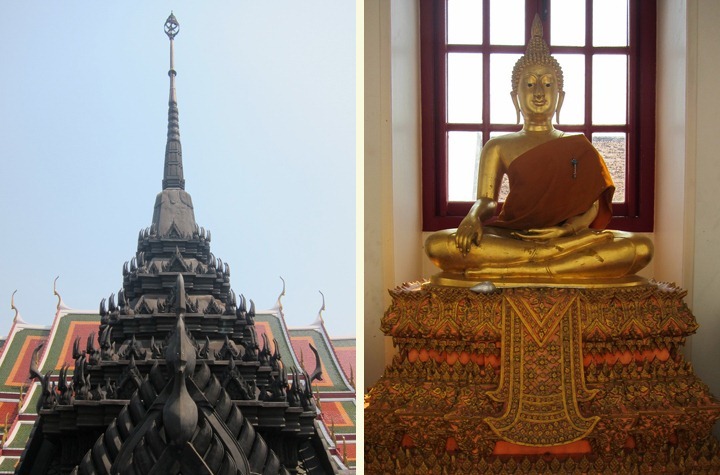 This Buddhist wat is best known for Loha Prasat, which is a multi-tiered structure 36 meter high with 37 metal spires. 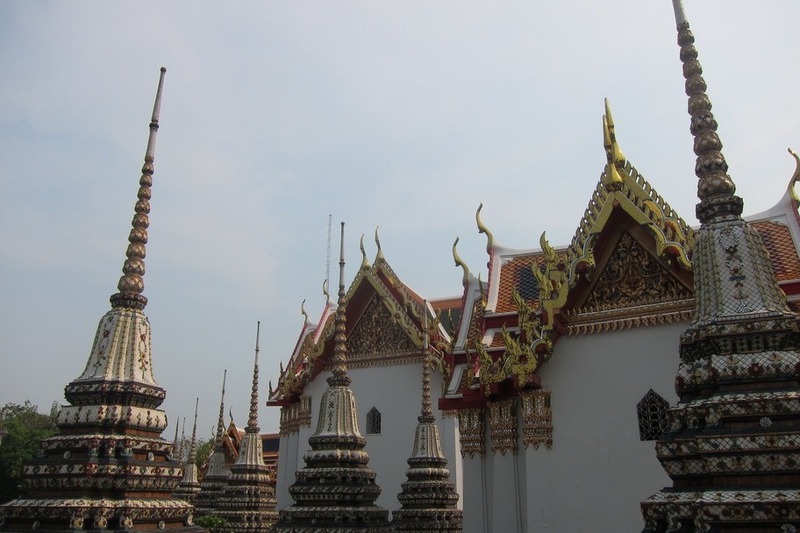 Each of the spires signify one of the 37 virtues toward enlightenment. 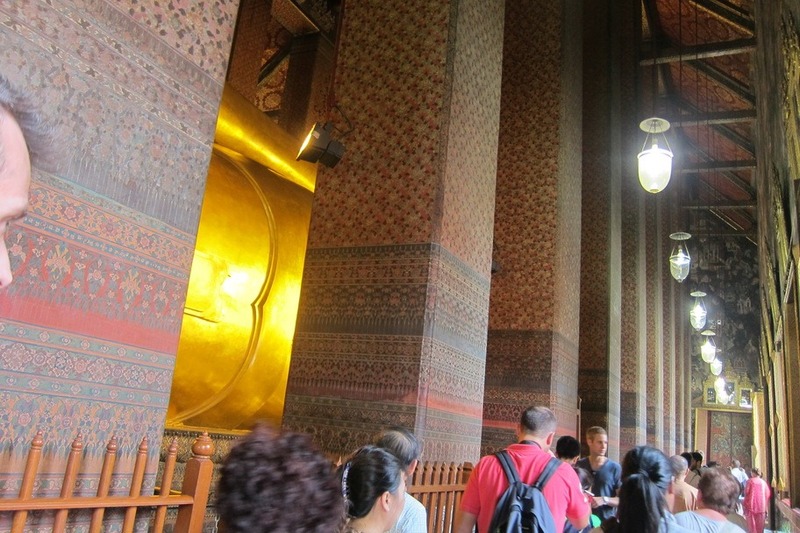 Next, we took a taxi (always use metered taxis in Thailand) to Wat Pho, which has the largest reclining Buddha in the world. 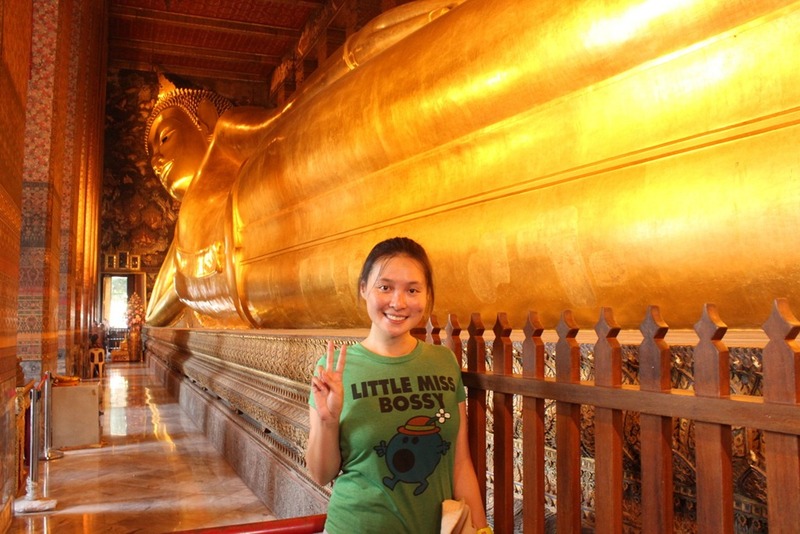 The Buddha is 15 meter high and 43 meter long. It’s hard to take good photos of the Buddha due to the columns but the best shots are all the way at the end toward the Buddha’s feet. A dress code of long pants and no sleeveless shirts is strictly enforced. However, an attendant will provide you with a shawl if you do not meet the dress code. 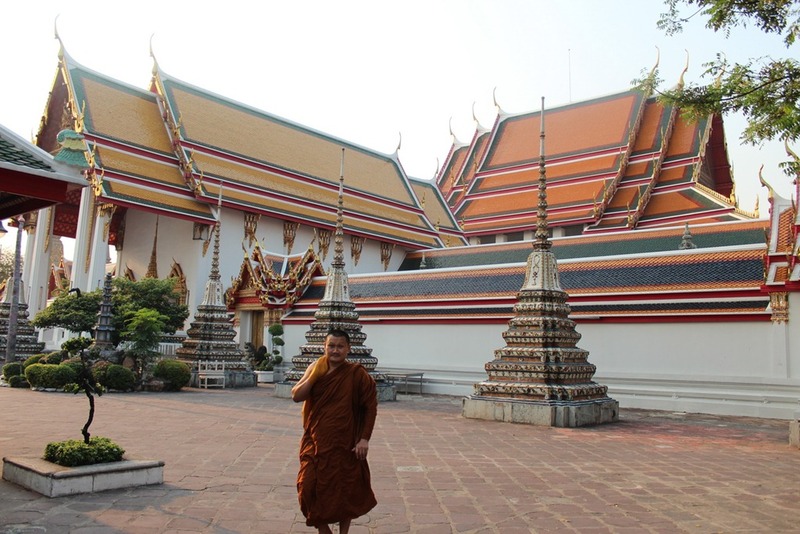 Wat Pho also has 91 chedis (mounds) on its grounds. 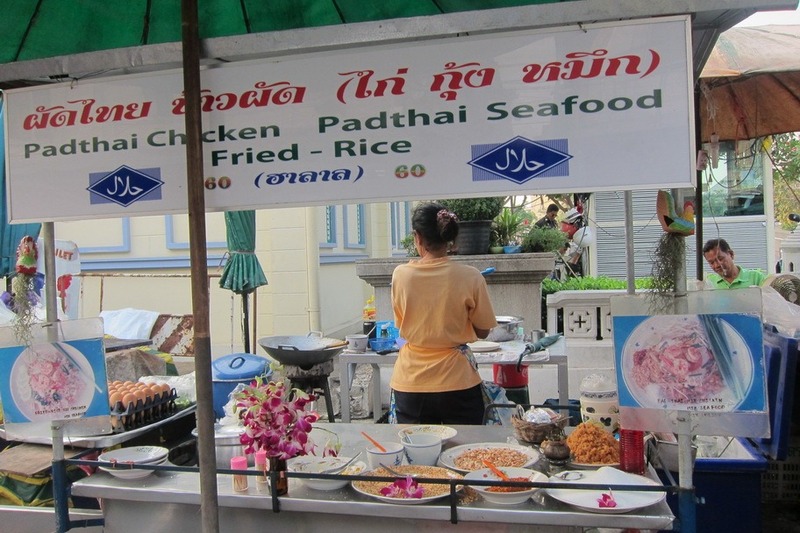 We passed a whole bunch as we were looking for the Thai massage school on the premises. 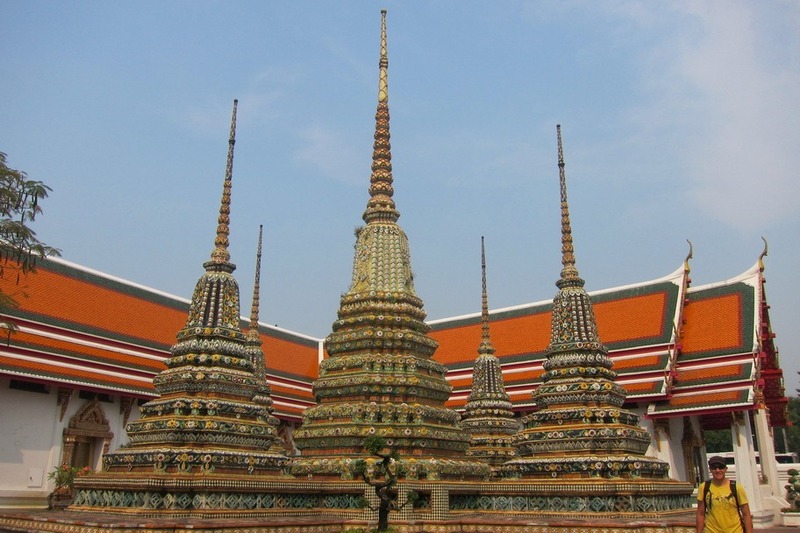 The Wat Pho massage school was established in 1962 and is one of the earliest Thai massage schools in the world. The 1-hour Thai massage cost 420 baht ($14 USD), which is expensive for Thailand but totally worth it. This was by far the best Thai massage I’ve ever had. 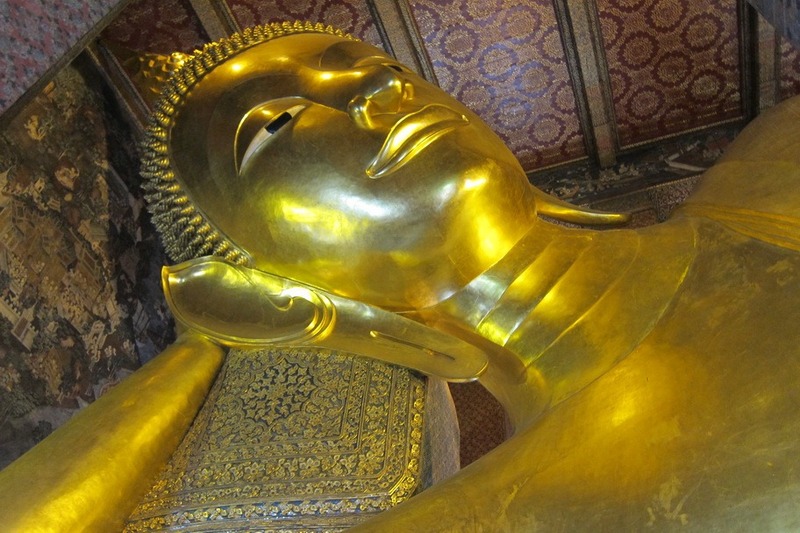 The pressure was strong, and I could tell that my Thai masseuse knew what she was doing. Everyone is massaged in one open air-conditioned room. 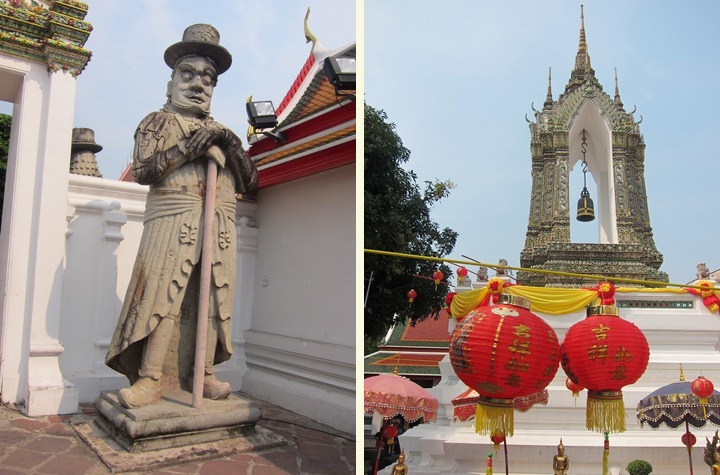 Outside of Wat Pho, Mr. Selfish and I walked toward Tha Tien pier to get a good view of Wat Arun (Temple of Dawn) from across the Chao Phraya river. 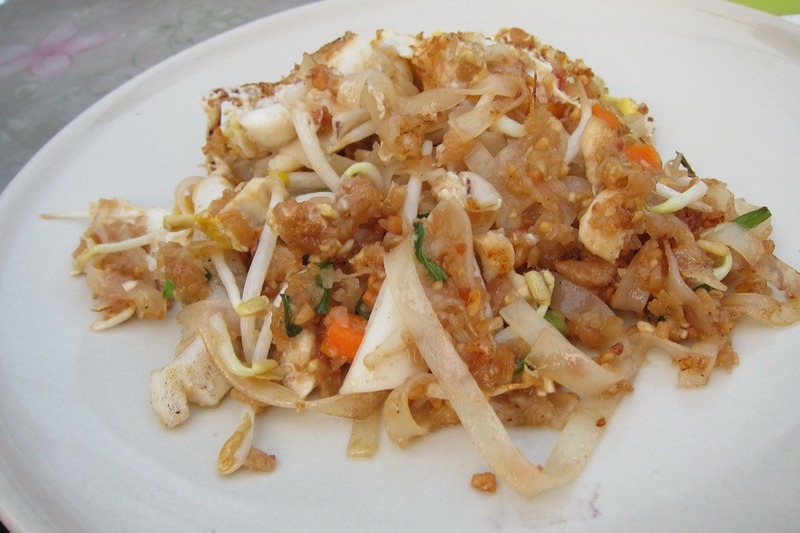 On our way, we had the most delicious pad thai for only 60 baht ($2 USD). In fact, it was so good that we ordered seconds. 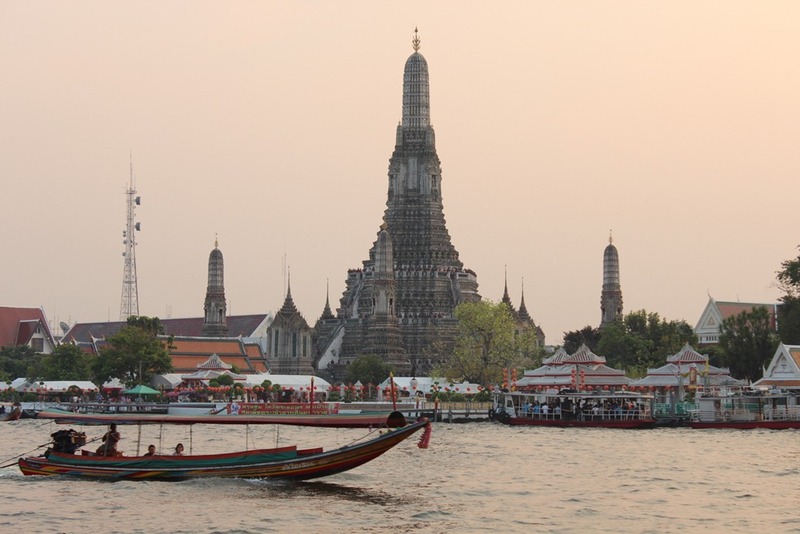 By the time we reached Tha Tien pier, the sun was setting over Wat Arun. 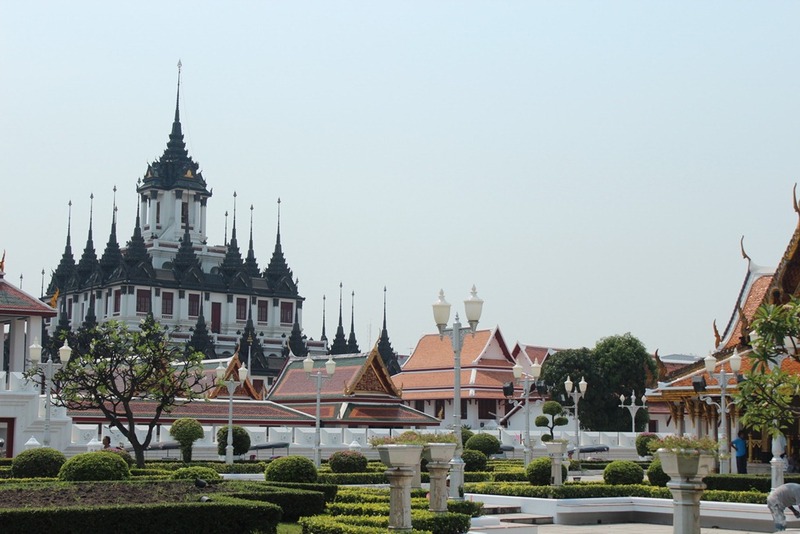 The view of Wat Arun from afar is supposed to be the best part of it, so we didn’t venture across the river to visit it. 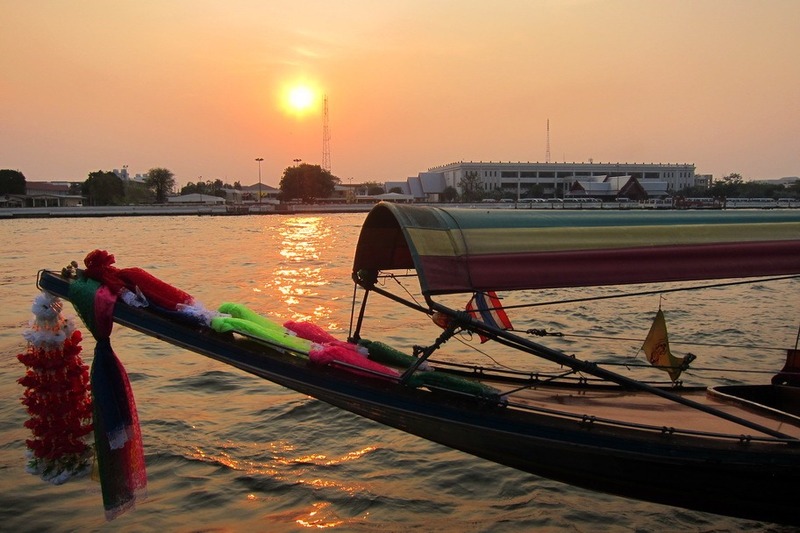 Instead, we enjoyed the view of the sunset and took the Chao Phraya Express down the river to our metro stop. 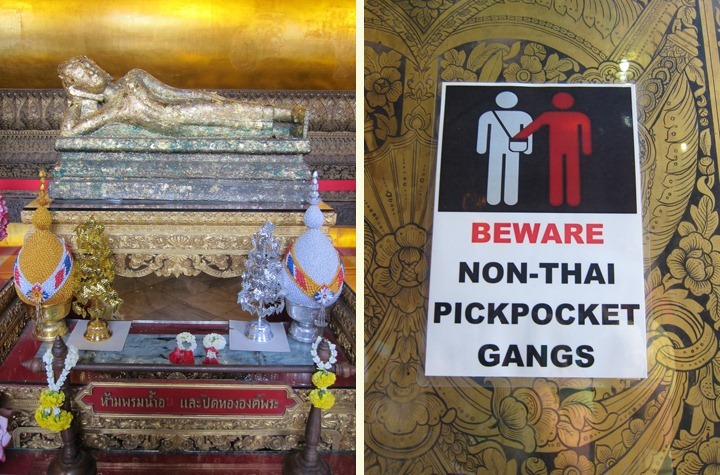 The next time we go to Bangkok, we will visit the Grand Palace. 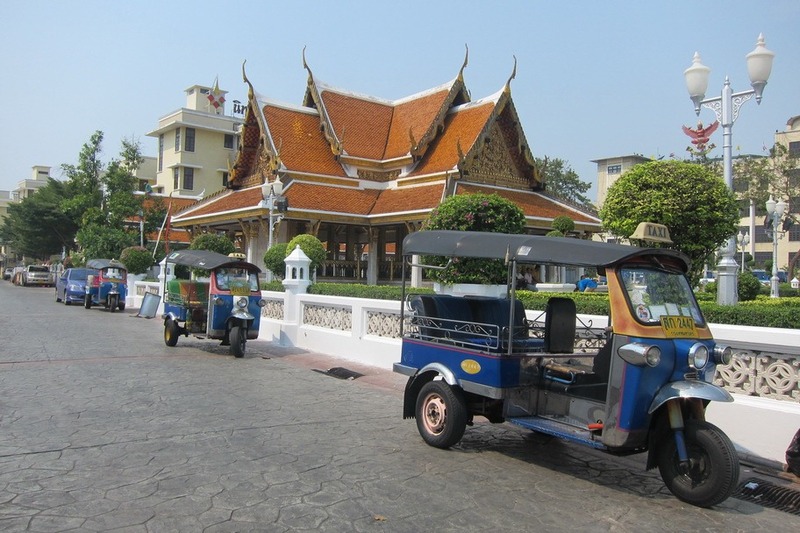 We couldn’t cram it into our short stay in Bangkok. 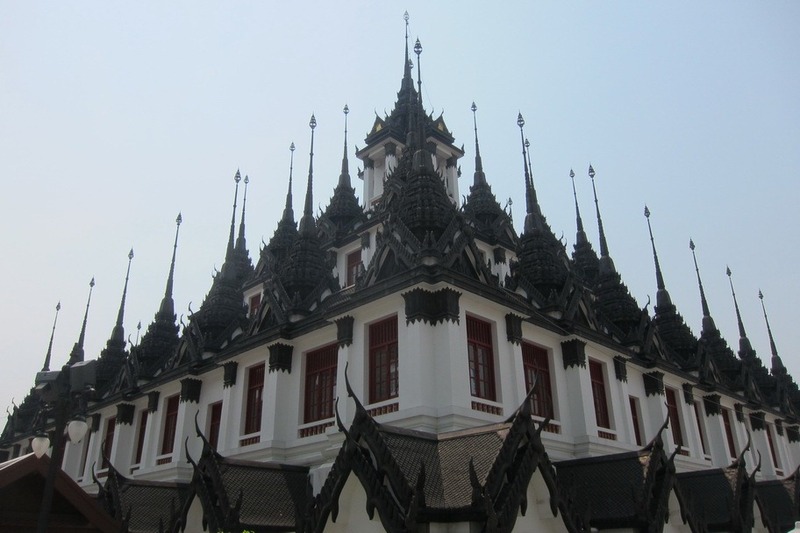 My next few posts will go over our week-long stay in Chiang Mai.